Learn how to play as one of the more popular characters in Risk of Rain 2 with our guide to how to unlock the Mercenary. 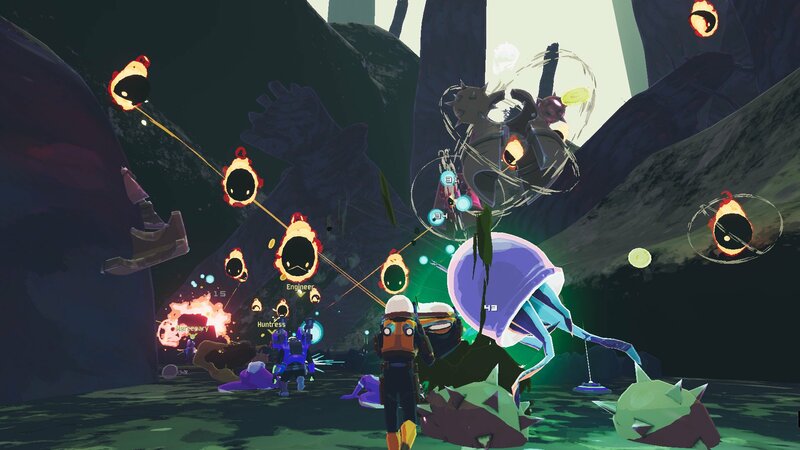 Risk of Rain 2 includes several different characters for players to unlock, including the Mercenary. Unlocking these characters for play involves some work, and in the case of the Mercenary, a little bit of blind luck. Fortunately, we're here to help spell out the details of how to earn the Mercenary in Risk of Rain 2. Mercenary is one of the more popular characters in Risk of Rain 2, meaning its one of the first characters that players will want to unlock. However, most players won't be able to unlock Mercenary until they've already made some good progress into the game — in this instance, they'll need to keep making push forward until they spot their first Celestial Portal. There seem to be disagreements among the player base regard what causes a Celestial Portal to appear. Given enough time, players will certainly stumble across one — some of them seem to appear randomly throughout various levels. Several users across the Internet are reporting that a portal will appear after making it beyond the fourth level, then looping all the way back to the end of the Rallypoint Delta stage, which is the game's current third level. Regardless of which Celestial Portal is chosen, head inside and find the Obelisk. It should be easy to spot, but it may be hard to actually get close to. Once stationed in front of it, interact with it, choose the option to obliterate yourself from existence, then watch as the current character makes a sacrifice of their own life. Don't worry, it's all part of the Risk of Rain 2 experience. Once the sacrifice has been made, the True Respite achievement will pop, and the Mercenary character will unlock. It will take a sacrifice to unlock the Mercenary character in Risk of Rain 2. If players can slip through the Celestial Portal and activate the Obelisk, they'll be well on their way to playing with one of the game's most popular characters. Stay fresh on other useful game guides and tips by heading over to Shacknews' Risk of Rain 2 home page.